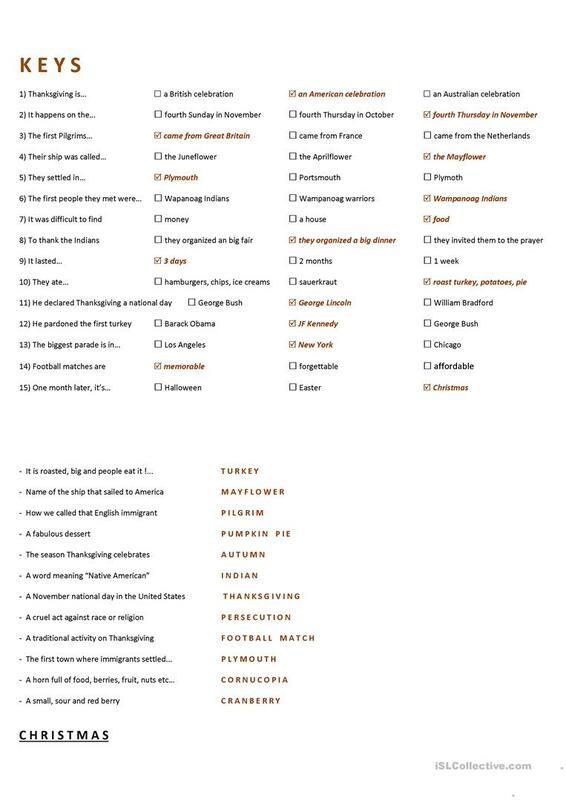 Why not celebrate Thanksgiving ? 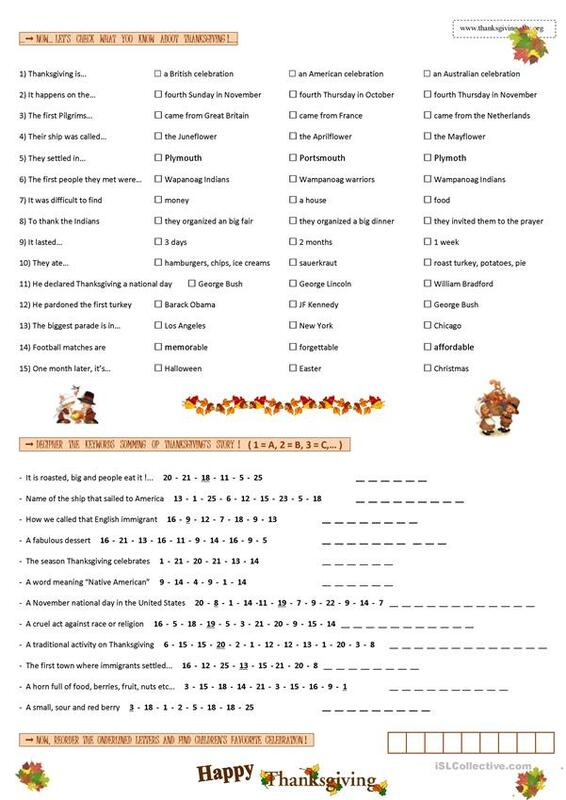 Reading activities about Thanksgiving + 2 activities : quiz + deciphering exercise. 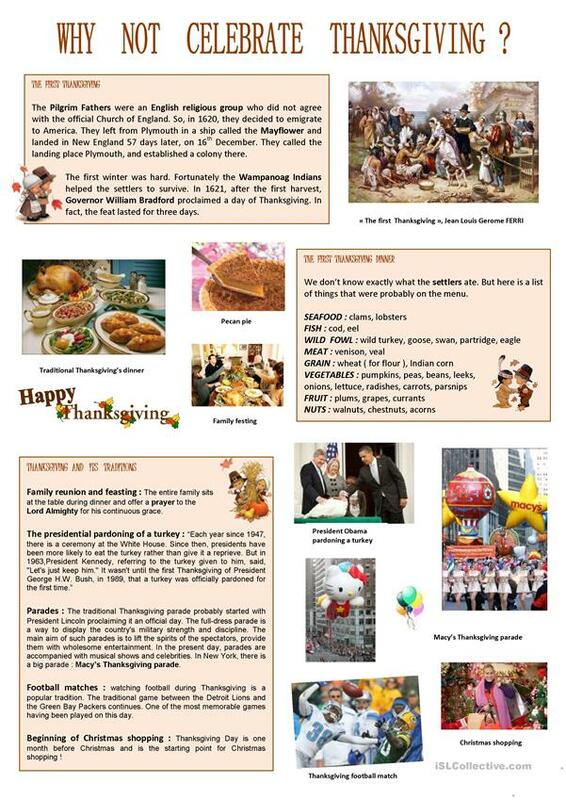 This downloadable handout is intended for high school students and elementary school students at Pre-intermediate (A2) level. It is useful for enhancing your learners' Reading and Writing skills.